Find the best deals on excellent French Wine. Compare current prices from major UK merchants and use our exclusive voucher codes. Use various search filters to find your perfect pick. Look at our Deal of the Day, reviews, awards and Price History. Sign up to Price Alerts and we will email you when your favourite bottle goes on sale. Whether you consider French Wine to be ‘in fashion’ or not, there are always two major considerations to keep in mind and they are - ‘matters of opinion’ and ‘matters of fact’ and the ‘facts’ always speak for themselves. All of the main grape varieties that go to produce the most popular wines from all over the world that fill our merchant’s cellars and shelves today, originate from France. Only two do not, Riesling and Gewürztraminer and they both come from Germany. This fact however is only one of the reasons why France has been the most important country with the most influential in terms of world- wide wine production today and throughout history. Couple this with their contribution to ‘world cuisine’ then you can appreciate why France is the envy of ‘the wine world’. France consists of such a large number of different areas all producing wines of such diverse styles, it is like so many wine producing countries within one. France is also still the largest producer of ‘fine wine’ in the world to the world and its development of wine production methods, particularly in Bordeaux, is a much sought after expertise on a global scale. All these varieties have their own ancestral homes within France but are now ‘well travelled’ across the rest of the country. I have listed here a simple guide to just the major wine producing regions, the one’s not listed and there are many, still have a strong identity and form their own important part in the structure and history of wine making in France. The two most famous wine regions are of course Burgundy and Bordeaux. Bordeaux is home to the two equally famous red wine grapes – Cabernet Sauvignon and Merlot with Burgundy being the birth place of Pinot Noir for its red wines and Chardonnay for the illustrious white wines of this region including of course the most well known of all – Chablis! We have previously covered many of the separate regions that go to make France so individual in terms of wine making, such as the Loire [the Garden of France] Burgundy, Bordeaux, the Languedoc and the famous southern Rhone Valley vineyards of Chateauneuf-du-Pape. All have their inimitable wines that belong so closely to their own varied cultural influences that have shaped wine and food development over the centuries. 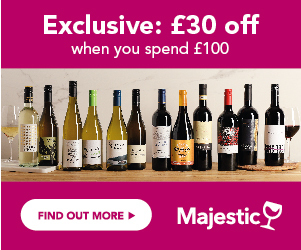 So the purpose of this feature is to give you a general overview of what ‘Wine France’ has to offer and this should help you to decide what represents the value for money wine bargains available for you to enjoy from the ‘best of France,’ available through all of our advertised wine merchants.